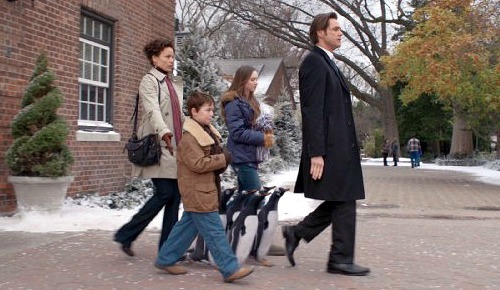 Home Based on the Book Mr. Popper’s Penguins: A Solid Family Movie? Mr. Popper’s Penguins: A Solid Family Movie? Who here wants some penguins as pets? I do not see any hands. Well, what happens when a crate arrives at your door with six penguins? Wholesome family entertainment, that’s what. 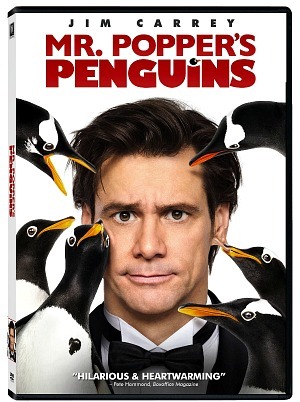 In [amazon_link id=”B004A8ZX3M” target=”_blank” container=”” container_class=”” ]Mr. Popper’s Penguins[/amazon_link], Jim Carrey stars as big-shot real estate developer Tom Popper. He’s the man to go to if you want that big deal from a client who just won’t budge. After all, Tom is trying to get his name in marble. Marble! Anyway, the movie starts out with little Tom Popper listening to frequencies, but we don’t know why. He soon gets a signal from a captain who’s out at sea, who turns out to be his dad. We learn that he goes away a lot, but he wants his son to know that he’ll always be there for him. Cut to 2011 (when the movie was released in theaters), and we see the now adult Tom Popper receiving a crate at his doorstep. Can you guess what’s in it? It’s a penguin. 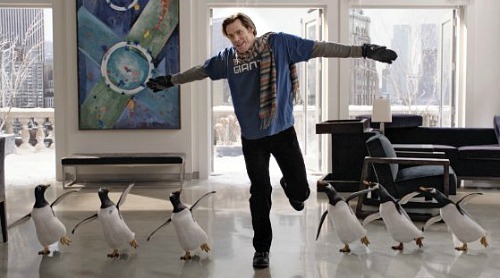 Hilarity ensues as Popper, who has no parenting instincts, lets the penguin roam around his swanky New York apartment. Can you you guess why he got the penguin? If you guessed that his father passed away, then you’ve seen too many family movies. Suddenly, kids show up at his door. Can you also guess whose they are? That’s right, it’s Popper’s kids. 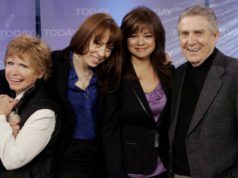 As his kids enter the apartment, we also see Popper’s ex-wife, who apparently is not all that mad at him. Ah, divorced parents in family movies, never fighting. Popper’s wife, played by Carla Cugino, plays it real dull as the script has her doing nothing at all. She’s basically a one-dimensional sidekick who’s the ying to Popper’s yang. Another crate arrives at the door, and can anyone guess what happens next? Yes, that’s right, more penguins. The kids love them, so why can’t they stay? Because it’s a family movie, and we have to root for the penguins. Don’t get me wrong, penguins are pretty cute and look cuddly, but to have one as a pet? No way! But, to make his kids happy, Popper (which is what his kids and ex-wife call him, for some reason) keeps the penguins. Bad choice. Really bad choice. Popper also has a big client, Mrs. Van Gundy (Angela Lansbury), a proprietor of Tavern on the Green who’s known for saying no, no matter what. As Popper meets her for the first time, he uses a boat story to win her over, but that’s another bad choice, since she’s already heard that one before. Popper comes home realizing that he needs to make this deal, make partner, get his name in marble, and get some respect from his bosses. He finds his apartment turned upside down as the penguins are flooding the bathroom, knocking over plants and wrecking havoc. Apparently, it’s winter in New York because the whole time there is nothing but snow — how ironic is that? Penguins need coldness to survive? Get out of town! Popper figures that his kids sure as heck might like the penguins, so he invites them over to play in the park — which, by the way, seems deserted within a 50-mile radius. The kids play soccer and, apparently, penguins love soccer. 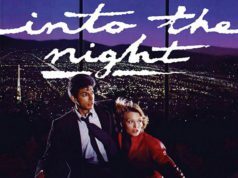 I’m learning a lot from this film. Anyway, there is a ruthless zookeeper who wants the penguins to be kept in the nasty part of his zoo. Boo! Hiss! And no, he is not played by Kevin James this time; he’s played by Clark Gregg, who will also play the director of S.H.E.I.L.D in all the upcoming Marvel movies. As Mrs. Van Gundy gives Popper another chance, he seals the deal by being honest and heartfelt. See? There is a happy ending to all of this. But as things turn worse, the mean zookeeper kidnaps the penguins and takes them to the zoo, where Popper and his family must rescue them and give them a great home. Mind you, there are six penguins — Captain, Lovey, Nimrod, Stinky, Loudy, Bitey, and the Skipper, too. Okay, I’m joking about the last part. 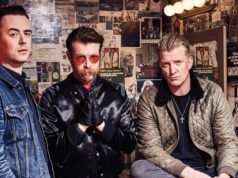 As Popper goes through the trouble of securing the property, wrangling the penguins and trying to make up with his wife, he figures that this is the time to be man he always wanted his father to be. An absolute happy ending for the believers of us all. My take on the film: Since the 1990’s, Jim Carrey has skyrocketed as the go-to comedian, mainly because of his physical humor and ace stretching abilities. If you don’t know what I’m talking about, see Liar, Liar, Ace Ventura, and Dumb & Dumber. He’s one of my favorite actors and comedians of all time. Still, I was expecting a lot more from Mr. Popper’s Penguins. All I saw in this movie was by-the-books writing and directing, and while he did his best with the material given to him, he just couldn’t deliver. All the characters are one dimensional, just like the fake penguins, and the writing just failed to give it that extra pizzazz. 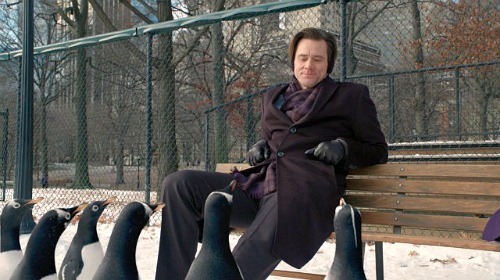 Mr. Popper’s Penguins is rated PG for mild rude humor and some language; 94 min. ; directed by Mark Waters; [amazon_link id=”B004A8ZX3M” target=”_blank” container=”” container_class=”” ]released on DVD/Blu-ray[/amazon_link] Dec. 11, 2011. Got a different opinion of Mr. Popper’s Penguins? Tell us in the comments below. Previous articleWhat’s Your Favorite Doris Day Movie? Here Are My Top Three! Jim Carrey is the best comedy actor of our time. Looking forward to more comedies from him in the future. I love Jim Carrey’s movies. And he still looks fresh and good. How old is he now? 🙂 This movie sure looks worth a watch.